With its bright blue ground surface and impressive climbing equipment, the playground at Riverview Park is truly a site to be seen. The landscape is dominated by a 50 foot tall Genesis climbing tower that will challenge even the agilest climbers. This is the largest structure of its kind in the world and can fit up to 250 people at one time. 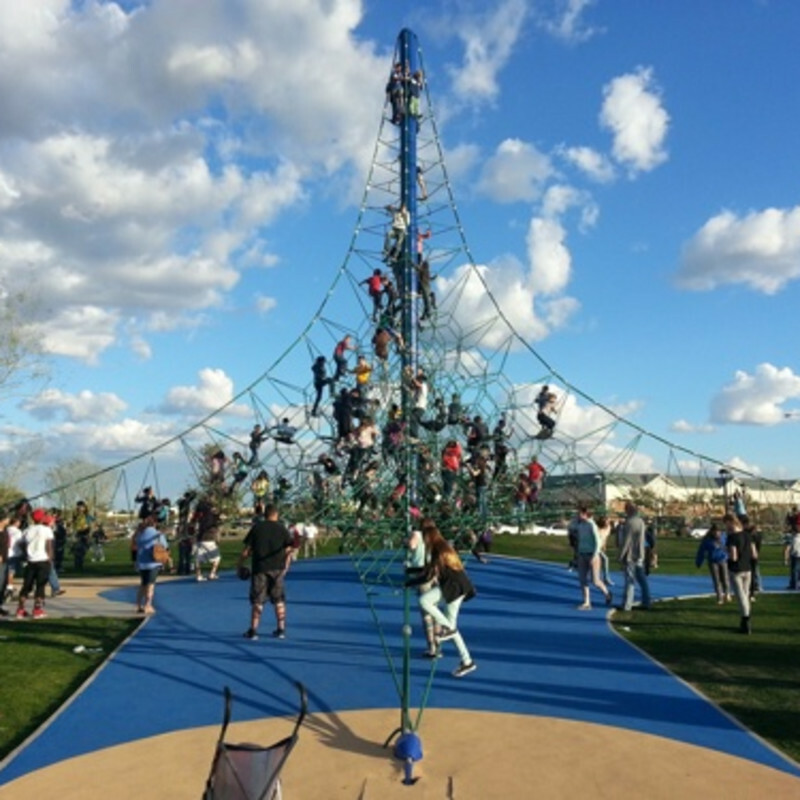 The park also features a 60 foot long caterpillar mesh rope climbing structure that builds children’s coordination. There is also a huge splash pad that is perfect for those hot and steamy days. The park includes two different play areas: one for children aged two through five and another for those aged six through twelve.